The Real Girls' Guide to Looking Skinnier and Taller. While I hate being categorized, I've recently had to think about where I fit in the blogosphere. Growing up I was a small, skinny girl. I had buck teeth, a lisp, long stringy hair, and born in to a family of seven kids without a lot of money probably didn't help. I had to deal with teasing from the mean girls but in retrospect I was lucky that I wasn't subjected to serious bullying. As a mom I try to make sure that my kids are always thoughtful of other kids feelings so they won't have to experience what I felt growing up. I think what kept me sane was eventually finding a friend who felt as different as I did - and knowing I was amazing - even if those basic girls couldn't see it. Eventually the braces came off, had a few years of speech therapy, grew a few inches, learned to put myself together (on the cheap of course) and then people started to finally see what I always knew. I was naturally skinny, I had the beauty of youth, and I was fearless with my fashion. At parties or events people would always come find me to see what I was wearing. And now at 42, after three kids and a much slower metabolism I had to re-learn how to dress for my new shape. I'm far less bold in my choices but I still try to push myself. Most bloggers I know or follow are in their 20s and/or super skinny, or petite, or plus-size, or modest, or rich with a closet of current season designer goods. And then there are those mommy bloggers who tend to be smart business women who monetize everything, and write e-books, and know how to earn a living off their blogs. And then there's me. And I'm none of the above. I don't have a mission statement or anything - I just like to take people inside my crazy world of a stay at home mom who loves fashion as much as her family (maybe a little more LOL) and is always on the hunt for pretty things on the cheap. While most of my deals are not available online, I always invite you along, sharing my experiences on Instagram or my blog, and flat out tell you where to find me shopping so you too can partake in my designer deals. On Insta this week when I threw my hat in for Redbook's Real Women Style Awards, someone called me a #balleronabudget and I can't tell you how much I love that hashtag. Last week I hit the City for a full day adventure. It was bitter cold. It was actually the day before the snowstorm and you could feel it coming. I knew I needed something warm so I grabbed one of my recent $20 Zara sale finds which is insanely cozy. I actually purchased it in a Medium and XXL. The medium just fits and the XXL is HUGE. I seriously grabbed almost every $20 coat on the rack for friends and family. I did find a large in black but I preferred this color so I gave it to my SIL. I didn't intend to keep the XXL but sometime when I feel big I feel the need to cover up. Problem is oversized clothing can often bulk you up. I probably should just gone with the medium but I chickened out. I'm from the camp of dressing to fit and flatter. But every now and again I make a mistake so I'll consider this one a teachable moment. Always show your skinny. I have long skinny legs and arms and I try to show them as often as possible. That way your eye is drawn to them so you don't focus on my wider parts - and it also helps visually create balance. Open necklines are also more flattering now that I've put on a few pounds and have a few more curves. I used to wear a lot of turtlenecks and boat necks when I was a size 2. I'm not saying that one can't unless they're size small, but I prefer not to. Just focus on what you like about yourself - and go with it. Create as many vertical lines as you can. You want to elongate your body as much as possible. In this look I added a small heel, skinny jeans, and your eye follows the line of the long placket on the front of the dress making me look slimmer and taller. I was a short girl growing up (still not that tall at 5'5") and finally grew in my late teens all the way till I was 20. I had to learn all the tricks to look and feel taller. It always drove me nuts that other than my mom, I'm the shortest in my family. Horizontals will break you in half and cut the line. Right now all I see is where this coat hits me (on the widest point on my hips) and I'm cringing a little. Wearing my coat open creates more vertical lines but a longline vest or coat, or even a long scarf will help the cause as well. Don't be afraid to try something on. When I'm personal shopping with clients I always insist they try on everything I pull. Sometimes you need to open your mind because things you thought you'd never wear can turn out to be your best friends. Thank you to Belle @littlefashionstylist for my pictures! After a few shots a security guard came over and told us we needed a permit to take pics at Lincoln Center. Really? Luckily we had enough so we just walked away. We met up to hit the Milly sample sale preview and walked away empty handed. They had a few cute things but nothing super cheap or super amazing. After I dragged her along to a Disney Style press preview to check out all things Beauty and the Beast. 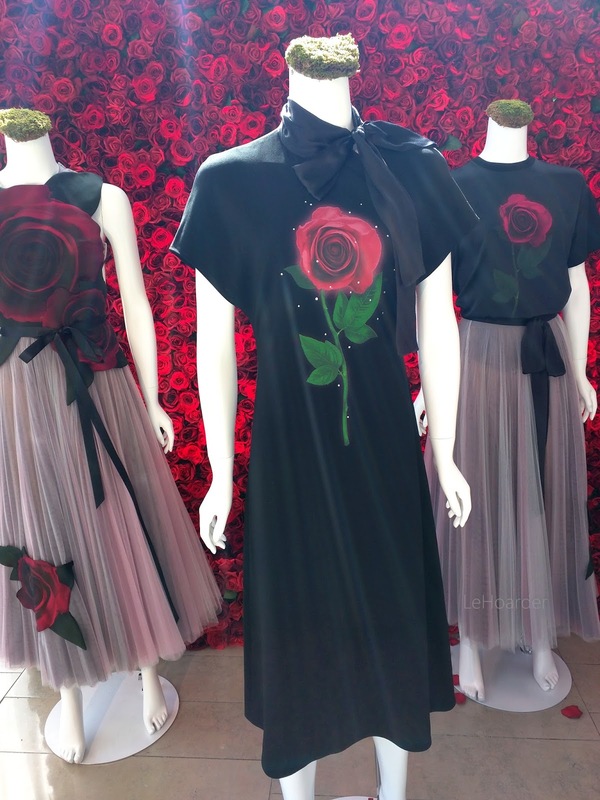 They had a mix of high and low end designers who collaborated with pieces inspired by the movie. Now really is the time to have the name Belle. On our way to our next sale we walked by Central Park and I had to take a few snaps of Belle. She's seriously the cutest. Off the bat I can tell you that the hot pink scarf/glove combo was from the Carolina Amato sale and she killed it at the Marc Jacobs sale where she picked up those star booties. In keeping with my Beauty and the Beast theme, I wanted to share a few pics of the girls from Ella's birthday party. I took her friends to see the movie on opening weekend and we told everyone to dress up. Luckily we already had these thrifted Belle dresses. I have a "Beast" baseball hat from the time I went with a friend to see it on Broadway years ago but of course I couldn't find it LOL. Nina Kids Shoes just sent us these gorgeous sequin sneakers that we'd been waiting for since the preview a few months back. I still have yet to share that adventure on the blog - I'm so behind in sharing so many things. A movie party is really the way to go. Our local theater is $5 a seat and we went to the dollar store and made our own goodie bags that we filled with Cracker Jacks, Fruit by the Foot, Ring Pops, fruit drinks and all of Ella's favorite treats. I did buy the tickets several days ahead because as I suspected, it was a sold out show. Our group took up an entire row in the theater so we arrived early and shuttled the girls to their seats as they arrived. After the movie we walked down the block to the pizza store and chowed down until pickup. Easy peasy and budget friendly. Love your shirtdress and Ella's birthday party is the cutest thing! Thanks Shira! I need to buy another one of those dresses because mine is starting to pill from constant wear LOL. Like yourself, I was a very skinny, lanky girl in grade school and constantly got picked on for it. Today, some of the same kids look up to me for fashion tips, imagine that haha! Not being afraid to try something on is one of the greatest tips you could have shared. It really helps to boost confidence! Isn't it funny that way. I often wonder if the mean girls even know they were mean. Such a great look babe and really love the tips you put here. I have to say trying new things really helps to know your body better. Sometime you feel something is going to fit great in you but it turns out that is not what you expected or can also be the opposite scenario. Really love Ella's bday theme she look so happy! Thanks Marcy! And yes, it's so important to be open! Oh my goodness! How did you possibly fit so much fabulousness in this one post ?? I am positively amazed ! I really want that denim shirt and so does my daughter and I'm obsessed with all your coats ! Girl , you are the best of the best !! It is so weird, but I feel like kids are meanest, because I was super skinny and people were bulling me that I did;t have enough weight, when my sister was a bit chubby, and girls were talking bad about it too, I hope that when I will have kids, they will not need to deal with body shame. I think with modern world, it is getting better to appreciate who you are and how you look. Love seeing Nina Shoes on your kids, I love Nina shoes because they are fun and great quality! Thanks Diana. It's funny but my overweight sister never got teased. She had a ton of confidence and was always surrounded by the boys LOL.I think the bullies know who they can bully. I try to teach my kids to be kind - AND to stand up for themselves so they won't be pushed over. 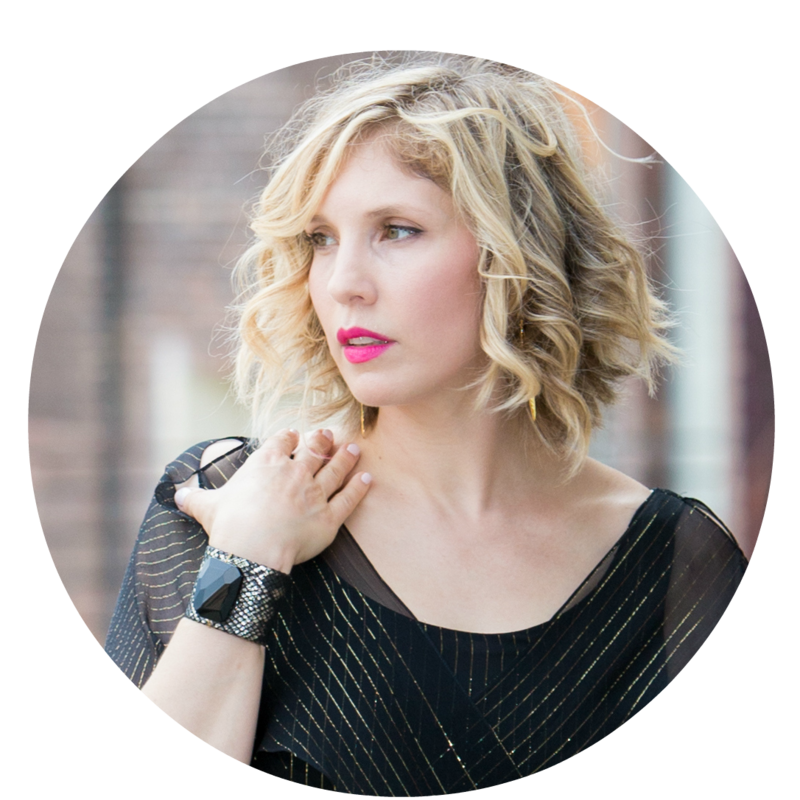 I love your honesty in this post and especially loving your tips on how to dress skinny! But I am always an advocate of dressing for your body shape and you do it so perfectly lady! I'm also a sucker for a good sale and try to stock up when brands do go on sale for pieces that I know will last in my wardrobe! 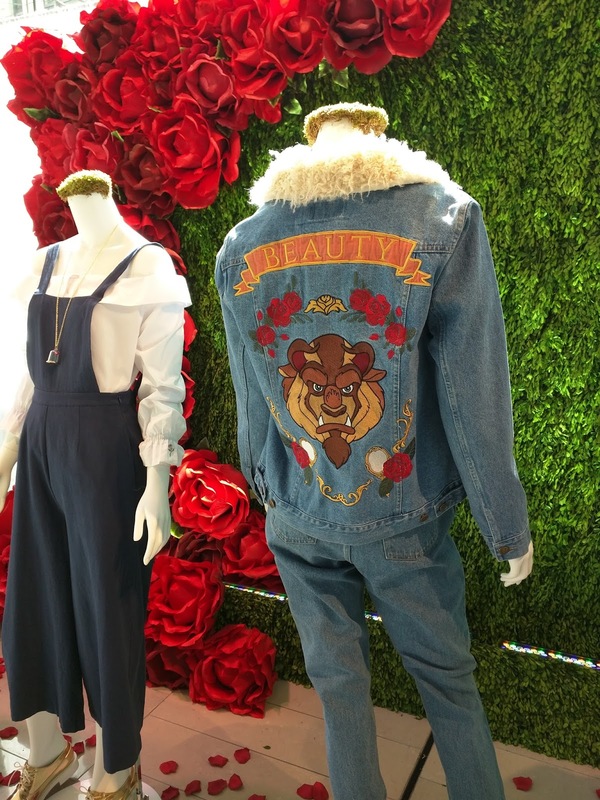 Also lovinggggg the beauty and the beast capsule pieces and of course that denim jacket would be AMAZING to have in the collection! So much fun! I love these pics and your outfit and thank you for those tips on looking more stylish and taller. I could definitely use some of these because I'm not as skinny as I used to be, but there's always a way to make it better in photos. for me I don't have skinny legs or arms, so I try to accentuate my waist. And you friend is so cute, love her style! Sounds like you guys had a blast and I love the Beauty and The Beast tren everywhere these days! 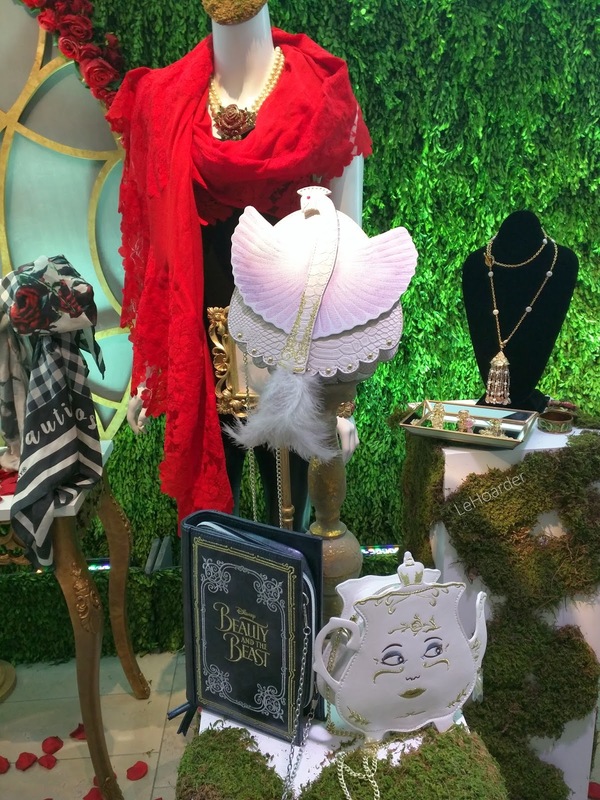 Also, so jealous of seeing the Milly collection! I just love that brand! Keep having fun and thanks for sharing! You're lucky to still have a waist - mine went with my third kid. I used to have a 20 inch waist - my husband was able to span them with his hands. You just gotta find your features and focus on them! For some reason this reminds me one time at school I went to throw something out in the classroom garbage and my teacher said to me 'you look so skinny' to which I replied 'thanks'. But she immediately said "why do you take it as a compliment?" It made me think that i guess these days we all have a certain mindset from the media that skinny is how we want to look and how we want others to see us. These tips are great for those that would love a little help in photos! Teachers were bullies too in the "olden days" - I can remember a few who said things to me that were inappropriate and unkind. Luckily these days they are a little more enlightened or maybe just held to higher standards. Such great tips and what a fun outfit you're wearing! Aww you are such a cool mom. I'm sure your daughter had a blast. I am also loving how you styled your first look. Such a great deals. I'm always looking for a great deal...but aren't we all. Bullying has become a big deal anymore and it really makes me sad. When I become a mother some day I only want to teach them kindness and love. Those are two important traits everyone must have. Being mean won't get you anywhere in life. I really enjoyed reading this post! It looks like you had a blast with your girls, they are so pretty. Thanks for sharing those great tips! No woman can deny that one of our goals when dressing is to look taller and slimmer and it's great to know that we can achieve that by wearing the right pieces that play with the optical illusion of height and dimension. I really enjoyed this post and learning a bit more about you! Such sweet photos of the girls! Love these tips and a good camera angle definitely helps! I was definitely bullied in school and instead of really encouraging and loving who I was, I decided the best thing to do would be to befriend the mean girls and I did and still had drama although the bully itself stopped BUT I missed out on SO many other friendships I could have had with genuine friends! So I really resonated with this one! These are all great tips girl. I agree with one particularly and that's is don't be afraid to try something on. It's great to know by adding certain pieces to our outfit, we can look taller and skinnier. I can say for myself that I would like to look taller so I usually try to pick pieces that make me look taller. All great tips. I might actually snag a few of these for myself since I'm short and skinny. Definitely need to show a little leg more!! What a fun and cute read! I think being petite all my life has taught me how to stand and pose to look taller (the 4 inch platform heels helps too). Most people I meet in person always gets a surprised look to discover how short I am hahaha. Super cute Beauty and the Beast themed birthday party for your girl! As always with your posts, this was such a pleasure to read. You're so personal, unlike many other fashion bloggers, which makes me feel like I know you even though we haven't met (but maybe will in July when I come over to NY?) and I can totally relate to the part where you talk about enhancing your skinny parts to add a little more height as I'm not the tallest guy out there either. I also love your parenting methods as you teach your children to become good persons from the very beginning. Need I mention that I absolutely crave that Beauty denim jacket? It's adorable!!! This is such a deep and inspiring post, thank you for sharing it. Yes, it's very important to be thoughtful and tolerant to other people, because you don't know the story hidden behind. And all the pieces of advice you shared are just totally on point! you got me at your title! How to look tall and skinny! where do I signed up and how much do I have to pay? lol! I love reading your blog post as you probably already know I'm a constant reader here! You dont even look like you're in your 40's?! now youre joking. you look perfect! Great post and tips! Loved all the pics from everyone too! Just Put a Cape on It. NYC Street Style & Comm-ci Giveaway!